Talk about getting some cash back. 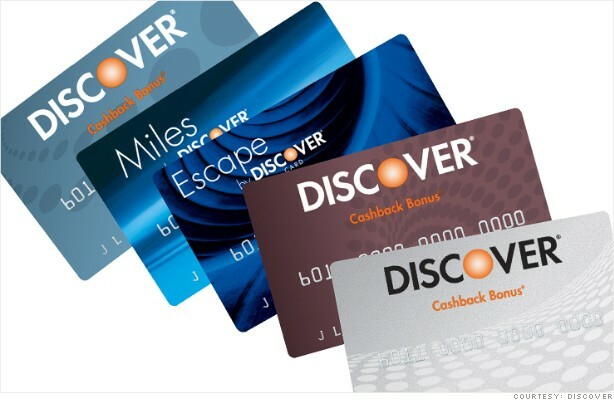 Discover Financial Services (DFS), whose claim to fame is offering consumers cash back when they use a Discover credit card, is having a good week. After issuing a mea culpa (and $200 million of refunds) to more than 3.5 million customers for deceptive telemarketing tactics, Discover reported better-than-expected earnings and revenue early Thursday. The earnings news was enough to push Discover's stock higher and grab the attention of StockTwits users. lamonicabuzz: Guess it does pay to Discover. Card company's profits top forecasts. News follows $200M refund to consumers earlier this week. $DFS up 3.7%. stephanie_link: Another impressive Q from $DFS - better credit, loan g, and an increase in NIM - tough to do in this environment.Contins to bb stock w$350m. Good point about the loans. Discover keeps growing its loan portfolio by an impressive 9%. And credit card loans are up 4%. But there's always a downside. NAPManagement: Only bad thing I have seen so far for $DFS is the increasing interest rates. Possible future increase in delinquency? That may be putting the cart before the horse. Discover's credit card loan delinquencies are at historic lows. And Discover's stock is faring better than some of its rivals. Shares of Visa, MasterCard and American Express are up roughly 20% to 30% this year. That's not too shabby but it pales in comparison to Discover's stock, which is up an impressive 60%.